I recently had the honor of partnering with Melinda Gates again (is this real life??) on an illustrated series to celebrate innovative women currently leading the way in a wide array of industries. The series was created for Women's History Month as a way to commemorate individuals who are making history as we speak! I personally love this notion because, as we are just now realizing, there are many female hidden figures of the past who were overlooked in their lifetimes. Therefore, it's so important to highlight women in the present day. By doing so, we're showing our peers and younger generations what opportunities are possible for them. Read Melinda's full story on these women here. 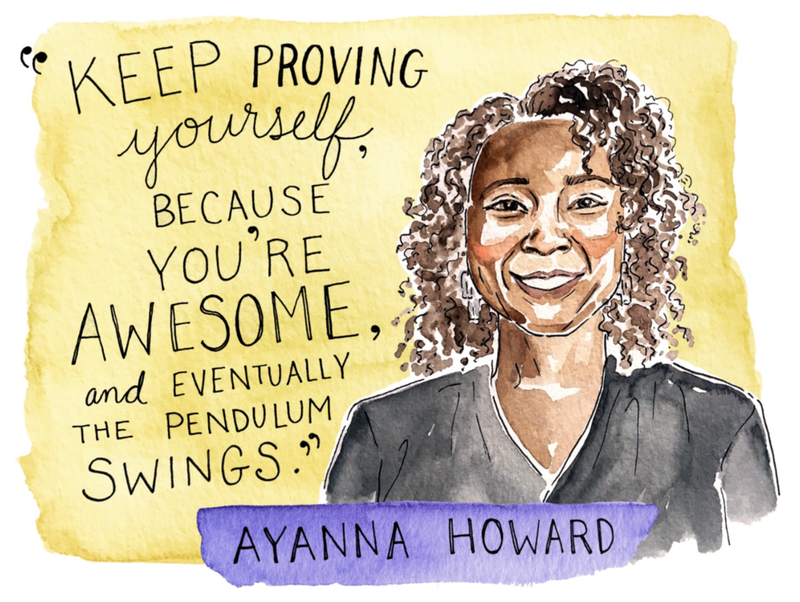 Ayanna Howard is a lot of things: a successful entrepreneur, a pioneering roboticist, the head of Georgia Tech’s School of Interactive Computing, and one of Business Insider’s “Most Powerful Women Engineers.” These days, she’s working to design a cutting-edge robot that can help children with special needs live healthier, better lives. Jess Tomlin is the CEO of The MATCH International Women’s Fund, which supports grassroots innovators and organizers who are working to advance gender equality. As part of Jess’s mission to “shift power and resources into the hands of women driving change,” she is connecting local women’s movements with the financial backing they need to put homegrown solutions into action. As co-directors of the FRIDA (Flexibility, Resources, Inclusivity, Diversity, Action) Fund, Devi Leiper O’Malley and Ruby Johnson are helping young feminists harness their collective power to transform their communities. FRIDA has declared war on the funding gap for young feminist movements, directing its resources to girls around the globe who are working to end violence, promote human rights, and disrupt the status quo.